Hot water is something that gets used daily. Showering, hand washing, and running the dishwasher are all activities where it’s just better to have hot water. The water heater in your home is responsible for keeping the temperature of your water just the way you like it. However, if the heater stops working, it can cause major frustration for you and your family. Your hot water heater is built to last but that doesn’t mean it’s invincible. Sometimes your water heater can spring a leak which will cause the pressure and temperature to plummet and all you’ll need is a water heater repair. If you’re experiencing a lack of hot water or inconsistent water pressure, check how old your water heater is. Old water heaters are more prone to leaks simply due to natural wear and tear. Next, take a look at the drain valve. Over time the drain valve can loosen, causing a leak. These are two of a variety of reasons why your hot water heater might not be working. The best advice is to get a professional to examine your hot water heater to see what the problem is and if it can be repaired. Problems with your water heater can escalate quickly, and you don’t want to be without hot water for an extended period of time. Aiello Home Services plumbers are experts at diagnosing and repairing any problems you may be having with your hot water heater. 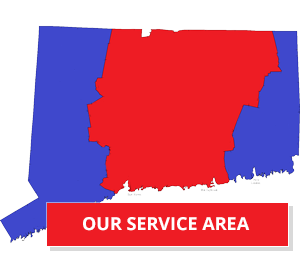 Give us a call today or schedule service online and we’ll provide you with a free estimate of what a repair might cost! 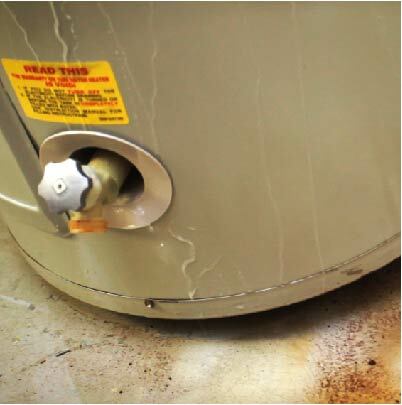 Click Here to Schedule Water Heater Repair! 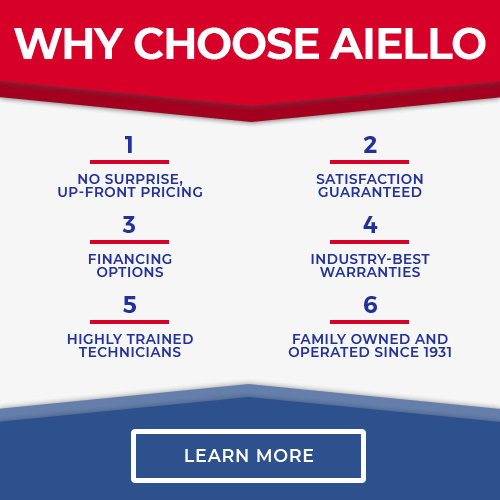 Aiello Home Services can get Your Hot Water Back in no Time! A lack of hot water can be extremely frustrating but don’t worry, Aiello Home Services plumbers can get your water heater fixed before you know it! If your water heater is leaking, making strange noises, or not doing its job right, give us a call and we’d be happy to come take a look. After examining the issues that are causing your hot water heater not to work, we will provide you with the options available to you to solve the problem, allowing you to make the most educated decision. All of our pricing will be provided upfront before any work is started, so you will not be hit with any surprise fees or charges to repair your water heater. 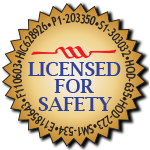 Aiello Home Services plumbers are all licensed, certified and trained to handle any plumbing service or repair you may need. you can easily reach us at 855-569-9576, chat with a live representative, or contact us online.